The Museum of Contemporary Art San Diego, in collaboration with the Museo Jumex in Mexico City and the Museo de Arte de Lima, will present “Memories of Underdevelopment” as part of Pacific Standard Time: LA/LA from Sept. 17 through Jan. 21. The exhibition gathers approximately 400 objects from more than 50 artists working in eight countries throughout Latin America. 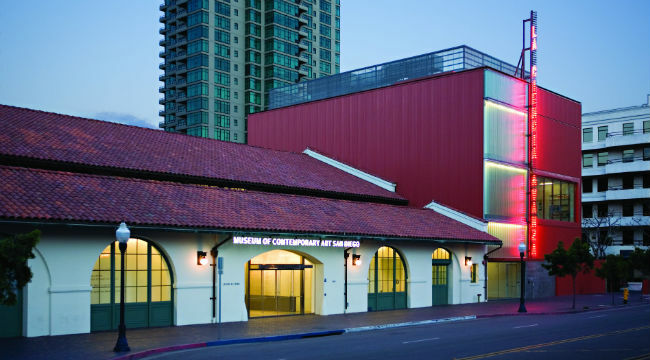 MCASD will offer free admission on the opening day of the exhibition thanks to support from Bank of America. “Memories of Underdevelopment” is set within the context of Latin America during the 1960s to 1980s, a period that coincides with both the apex and unraveling of the developmentalist project in many countries in the region, most notably Brazil, Argentina, Venezuela, and Mexico. Supported by more than $16 million in grants from the Getty Foundation, Pacific Stand Time involves more than 70 cultural institutions from Los Angeles to Palm Springs, and from San Diego to Santa Barbara.